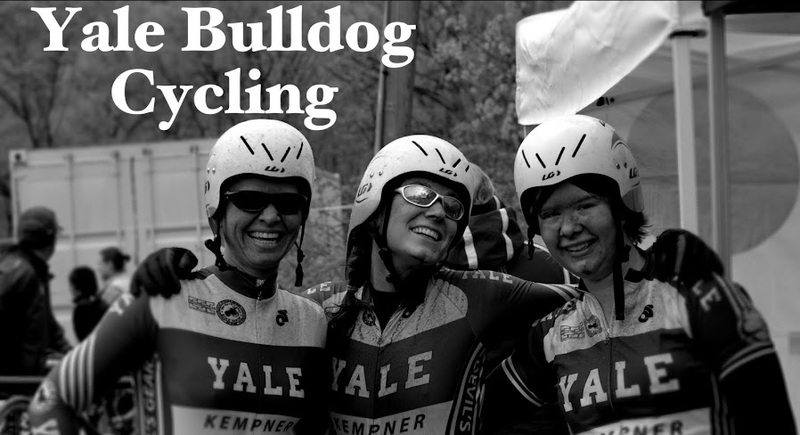 Yale University Bulldog Cycling: ECCC Championships! Oh how time flies by. It seems like just yesterday that we were lining up for our first races down south, trying to escape the northeast winter. 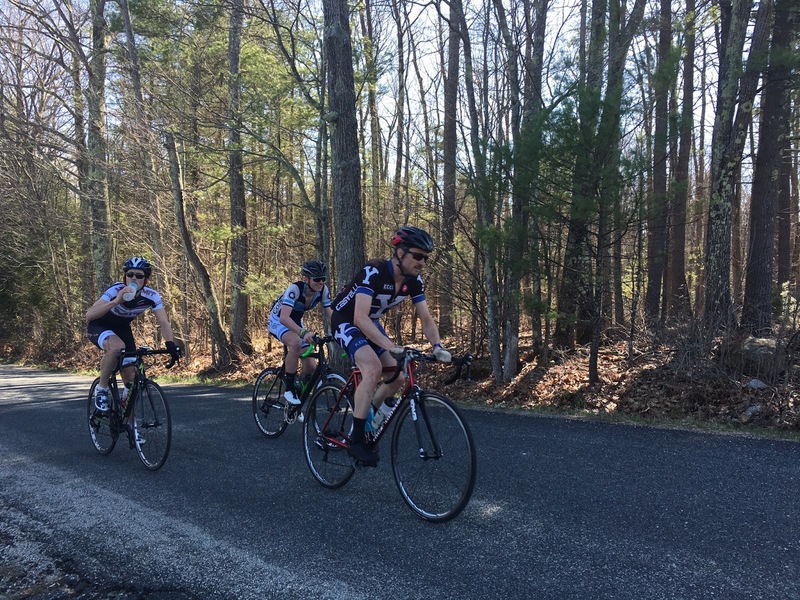 Here we are now, in the middle of spring, with the 2016 collegiate road season behind us. Five weekends of competition all over the northeast led up to these final three races to decide the champions of the conference. The two-day event opened with a team time trial followed by a road race in Warwick, MA on Saturday and ended with a criterium in Turner Falls, MA on Sunday. The 11 mile out-and-back course was fairly standard for what we've seen so far this season, though with a few more hills. 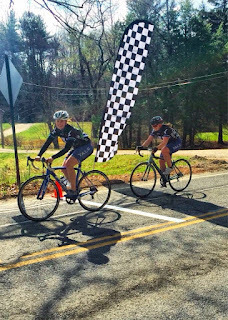 The women's C team of Molly Oakley and Liz Eldridge had a few hiccups along the way as Liz had a wheel malfunction, but they recovered and finished the course in just over 40 minutes. 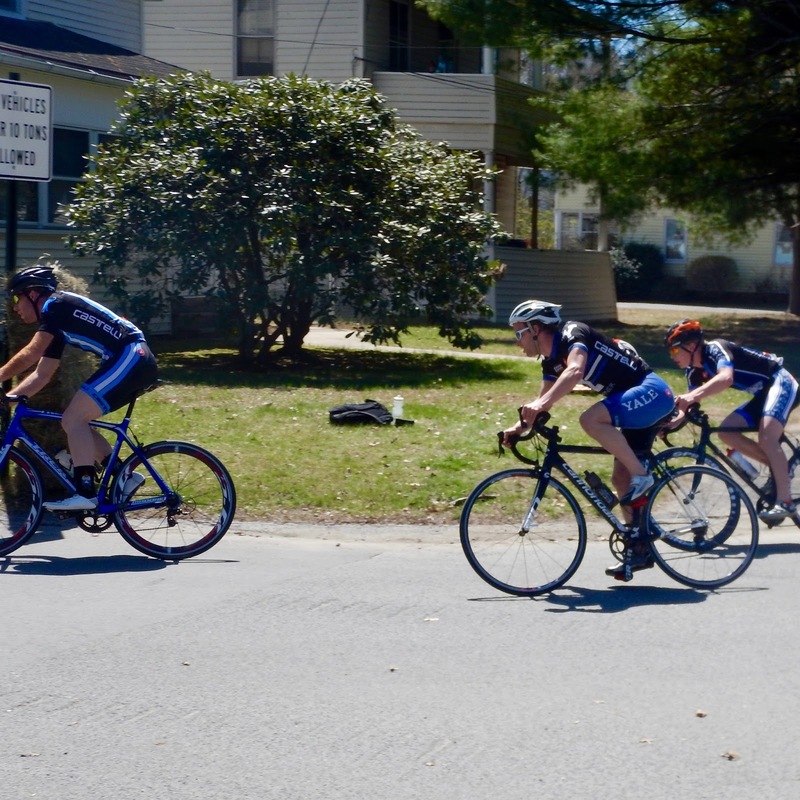 The men's C team of Jordan Bravin and Will Botta took a bit longer to get their game together after a few mishaps on the hills, but finished strong as they crossed the line in 31 minutes. The men's A team of Michael Grome, Michael Landry, Matt Ampleman, and Brian Drollette worked an efficient paceline through the first half of the course until Brian dropped off. From there, Grome and Landry pulled most of the way and allowed Matt to hang on as they crossed the line in 4th overall out of 10 teams. Thanks to the points doubling for the championships, that was good for 136 team points! Last weekend at West Point, the Bulldogs were faced with the toughest road race course of the year. That all changed this weekend thanks to MIT and UMass. Racers were challenged with multiple 12 mile loops of nearly 1,500ft of climbing, hairpin turns, and dirt roads. The course was so challenging that the officials delayed the second wave of races due to the first wave taking so long to finish. Up first was Molly in her final race of her collegiate career. 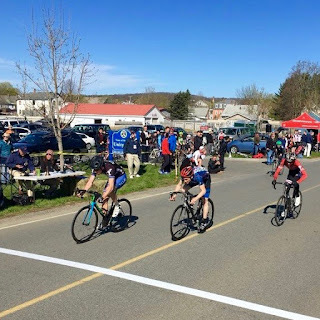 She navigated the 34 mile women's C race using her mountain biking skills on the dirt sections, but unfortunately was pulled after she lost contact with the lead group. 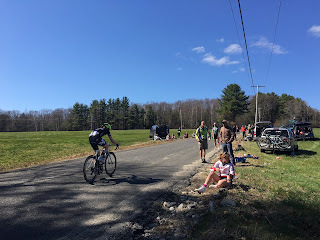 In the men's C race, Will and Brian took control on the front for the first 5 miles and tried to stay with the peloton through the first dirt climb. They were both dropped and finished minutes behind the lead group in a completely shredded field. The difference between the first place rider and last place was over 30 minutes. In the men's B race, Landry took control of the field while Matt tried to hang on through the second lap in his first ever B race. Landry took off the front with 2 other riders on the second dirt climb and held off the field long enough to create minutes of separation. He dropped the other two riders by the last dirt climb and cruised his way to yet another victory, over 90 seconds up on the second place rider. Matt rode with the peloton as long as possible until he dropped and pedaled his way to the finish. Michael Grome, in the men's A race, was in his prime for this "fantastic monster" of a course. He and 7 other racers organized a breakaway on lap 2 of 6, and then soloed 2 laps to bridge and catch the second place rider up the road on lap 4. The two of them worked together to hold off the field with Mike doing most of the work, ultimately finding themselves in a sprint finish. He finished 3rd on the day in a great race. The final race of the season took place around beautiful Unity Park in Turner Falls. The course was 3/4 mile loop with three turns and one punchy and decisive climb on smooth, wide roads. Crit Monster Jordan took the first race of the day in the men's D field. On the climb, he was caught behind a crash that knocked his rear wheel out of place and caused it to rub against his bike frame, costing him precious watts. Still maintaining his sleek aero profile, Jordan finished the race looking as good as ever. Next on the course were Brian and Will in the C race. Their legs felt trashed from the day before, and the hill only made it worse. Brian hung on to the front group, staying to the back and doing little work. He made up a few positions at the top of the climb due to an NYU crash, and sprinted to a 9th place finish. 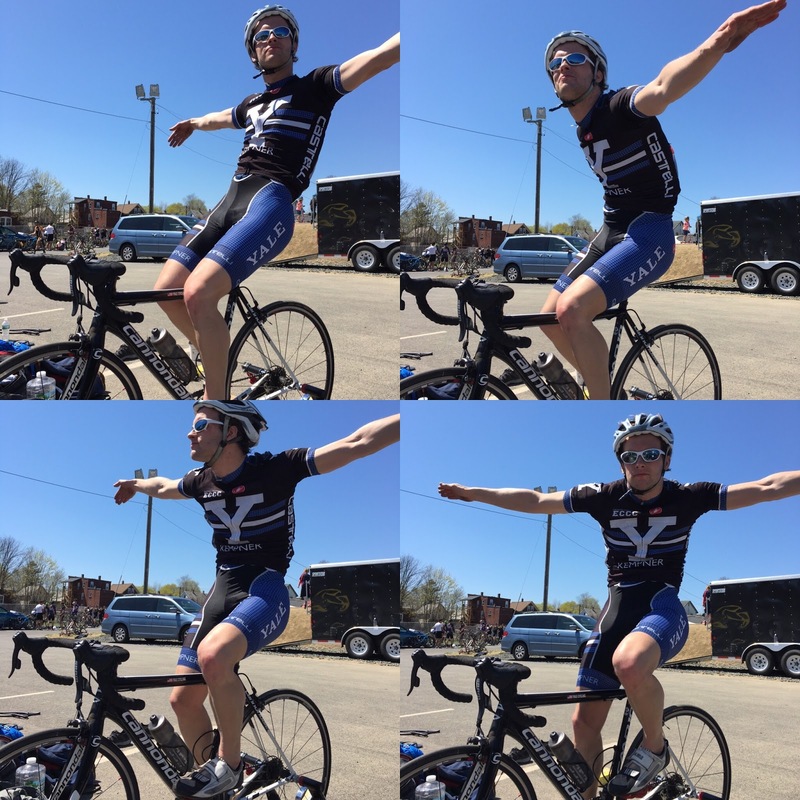 Will wasn't able to keep in contact with the front group and was pulled with over half of the field. trying to catch a Brown rider that had kept a breakaway for over half of the race. 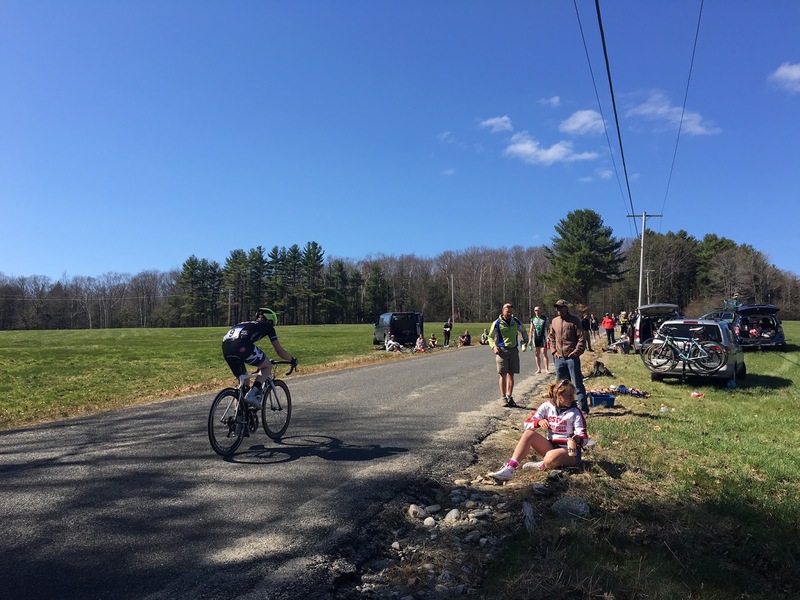 Landry punched it on the final climb and took a rider from UVM with him down the hill, who eventually passed him on the final sprint. 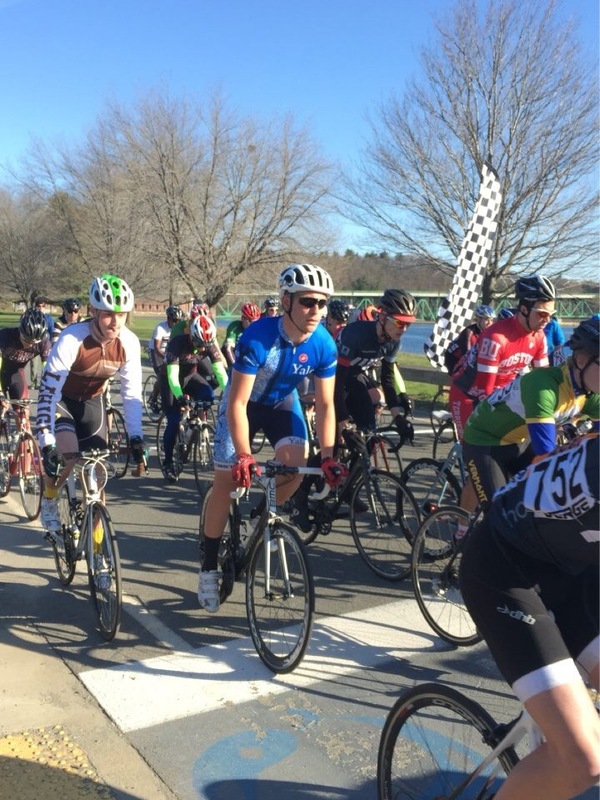 Landry squeaked out a 2nd place finish, beating a rider from UMass by mere inches at the line. 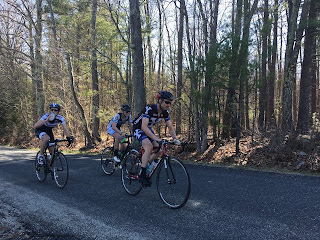 Matt had some mechanical issues on the final climb but was able to recover and sprint to a solid mid pack finish! Grome, in the last race of the season, felt good after his mighty efforts the day before. He worked hard to catch breaks and bridge gaps throughout the race. He lost an opportunity to create a gap on the final hill but still managed a great finish with the peloton. There are several key components to a successful racing season that often go unnoticed. Clipping in and beginning to pedal is the final step in preparing for a race. The entire team is especially grateful to those who work their tails off to give us these opportunities. Our captains, Molly Oakley and Michael Grome, are the heartbeat of this team. Their dedication and long hours paid off this year, as we not only finished the season strong, but also welcomed new members to the team and got first time racers out on the course. Without them, this road season would not have been such a complete success. 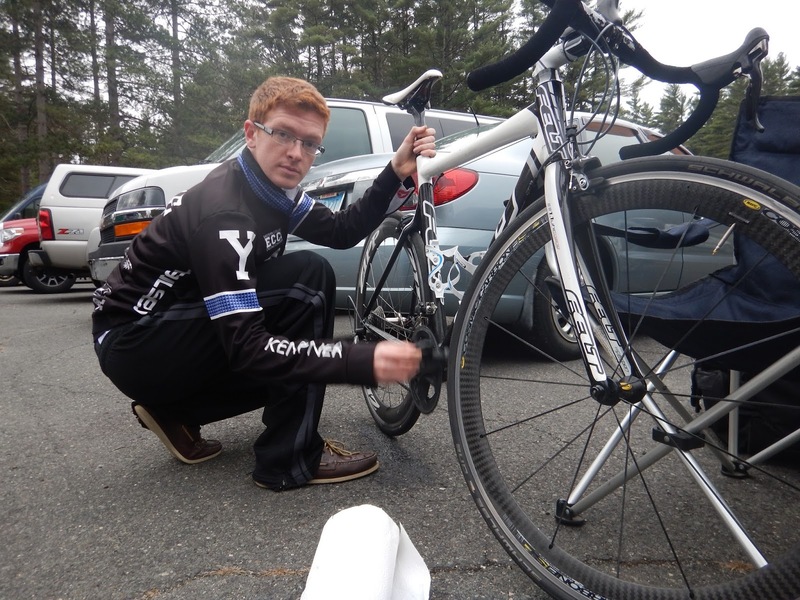 Another key component to the success of our team is Thomas Kempner. Mr. Kempner's generous contributions to the team allow us the opportunity to attend several races throughout the year and keep the Bulldogs as a top team to beat in the conference. We thank him for his continued support and look forward to our development with his help in future seasons. 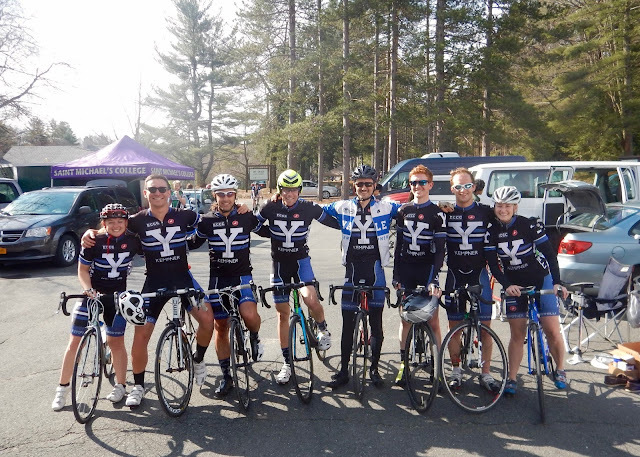 As always, we need to give some big shoutouts to our coaches at CCNS, and our sponsors, The Devil's Gear Bike Shop, College Street Cycles, UCAN, Peanut Butter & Co., Rudy Project, Camelback, Iams, Minoura, DeFeet, Castelli, Biketag, and many more!